A new stage begins in Tarturumies! Today is Good Friday and everyone will be in family enjoying Easter. As Tarturumies is a family project we want to send you Happy Easter and accompany in this day with some of our news. But let’s go to the most important … Today we have the pleasure of present two great friends, two brave who have decided to open our shop. They’re…. The Alaria Bunny and the Galin Chick !!! What can we tell about them? Galin is a seducer, with that look sweetens us all. He loves to hide so Alaria is looking for him all afternoon in the forest … It’s very naughty !!! 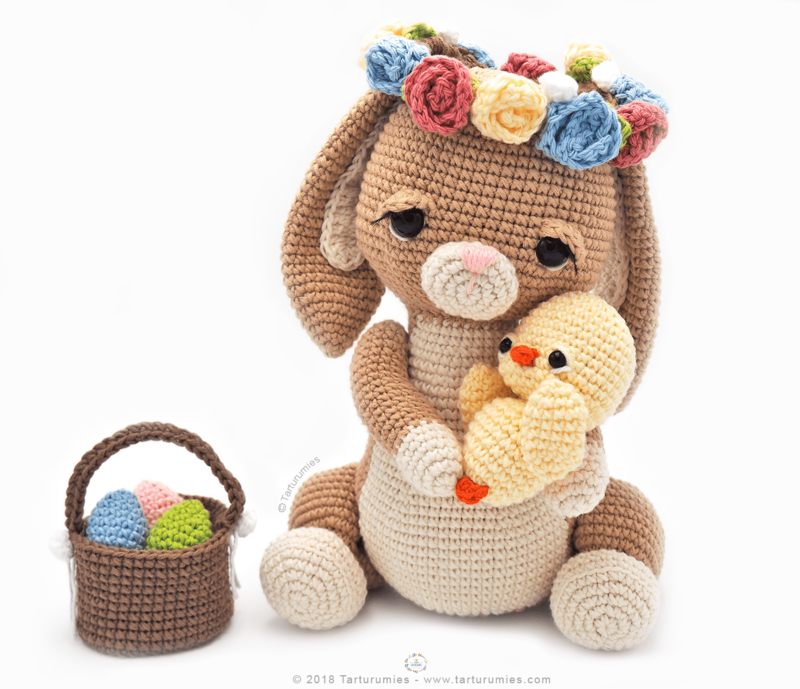 By purchasing this article you will receive a PDF with the step by step in 24 pages where you will find more than 100 photographs and diagrams, all very detailed to make your bunny, your chick and your easter egg basket in amigurumi. Our patterns are very clear and well organized so you can follow each step with more peacefully. What do you say? Do you dare to have your own Alaria and Galin in your life? USING: Our patterns are registered with all rights reserved and they are only for personal use. 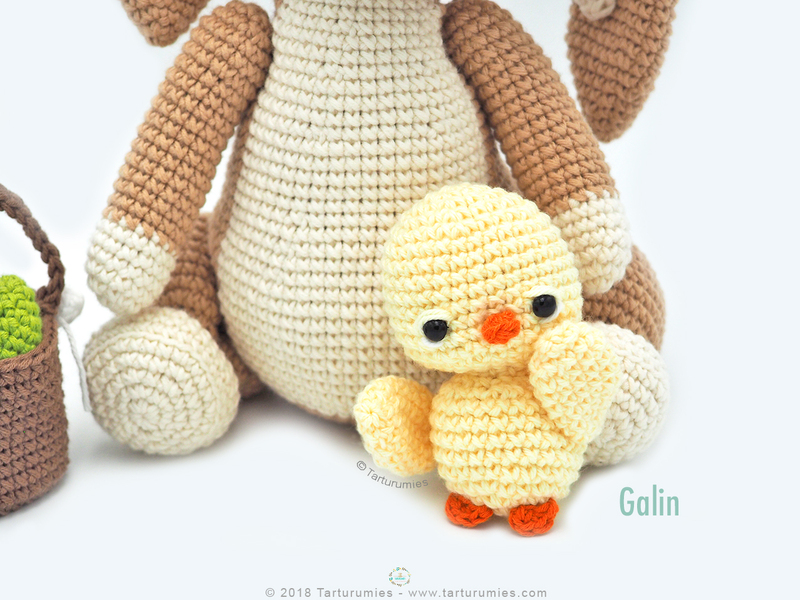 You can use this pattern to make these tender amigurumis for yourself, your family and your friends. If you share the finished amigurumi in your social networks, we would appreciate you mentioning us as authors of the design, that gesture would help more people to know us and enjoy with us.